This topic has 17 replies, 7 voices, and was last updated 2 months, 3 weeks ago by Joe (G.W.N.S.). The 12 ga shotgun is one the the most versatile hunting firearms available, with proper ammo selection it can be used to harvest any animal in North America. Certainly there are other gauges available and for certain applications have much to offer, but the 12 ga is king for the variety of ammo and platforms. From my perspective the pump action is most versatile. Everything from singleshot to semiauto can be useful depending on needs and budget. 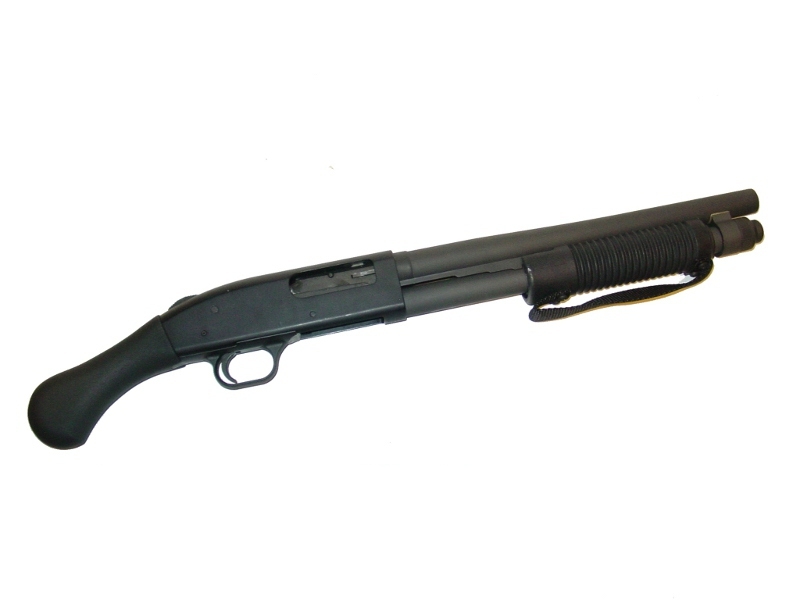 A good used pump shotgun can be still found in the $125 range. A selection of chokes increases the the versatility and a variety of different barrels are available from fully rifled slug barrels to almost any length imaginable. A field usable reloading kit can built to load for virtually any use. I am a fan of the Mossberg 500 series which is a great choice at a reasonable price point and it’s top mounted safety is superior to most other makers efforts. I have owned several 500’s and a 590 and have never been disappointed. The Mossbergs now reside with my children and as luck would have it I now have a mid 1980’s Remington 870. Hard to beat the remy 870 as well. I have a Mossberg 835 with an additional rifled slug barrel, great all around gun. Slug barrel is very accurate. The barrel is ported so don’t let anyone stand next to you when you shoot or they will unfriend you. lol. I have a Mossberg 500, With a 26 inch vent rib barrel with interchangeable chokes, and an 18.5 inch riot barrel, cylinder bore, which I picked up at a flea market for $25. I have always preferred the tang mounted safety too. No the 870 is a excellent shotgun! My dislike of cross-bolt safeties is easily mitigated by aftermarket solutions. Vang Comp Dome Head Safety is my choice for $15. For reloading; much like my 30-30 Thread, I am going to discuss field reloading. Nothing wrong with having a modern traditional capability, but having the ability to reload out of a bag is important for longterm survival. Reloading used plastic hulls is done all the time and works well, however they will wear out relatively quick. For longterm survival I recommend stocking some all brass hulls which will out last the plastic hulls by a large margin and some all brass hulls should last generations. Basically you have two choices in brass hulls Magtech and Rocky Mountain Cartridge. 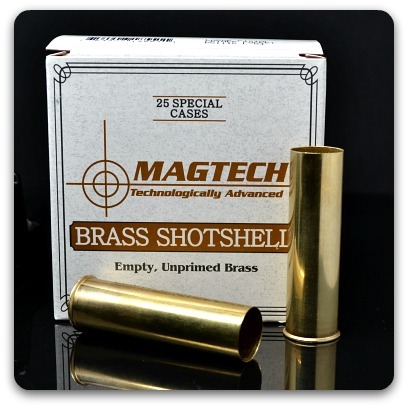 MagTech 12ga 2-1/2″ empty brass shotshells for around $25 for 25 hulls. These brass hull use large pistol primers, but can be modified for 209’s. These are drawn brass, thinner walled than plastic, and will need oversized wads. Rocky Mountain Cartridge 12ga are available in 2″ to 3-1/2″, the brass cases turned out from a CNC Lathe for a precision product. Each case is measured for an accurate dimension required for all firearm components. We begin with a 12’ length rod of solid brass stock conforming to the tightest manufacturing tolerance. These can use modern wads and will last indefinitely, but at a very steep price. RMC 2-3/4″ hulls are $90 for 10 cases. I prefer the “Slam-Fire” shotguns for defensive applications, and going in the thickest vegetation to finish wounded Grizzlies. Just hold the trigger back and start pumping, done right with practice, it is faster than auto/self loaders. I guess it’s what your used to, big gators don’t bother me getting close and personal, but grizzly I would prefer some distance. Baring a zoo escape not much chance of it down here. Ithica 37 operates like that and is bottom ejects so it is good for left handed shooters. Most of the early pump shotguns didn’t have trigger disconnects, hence could be pumped while holding trigger which would fire until you released trigger or ran out of ammo. It doesn’t fall under any NFA rules either. Remington Models 10, 17, 31. Stevens Model 520. Winchester Model 1897, 12. Ithaca 37 all can function this way, additionally most early pump action rifles could too. Some modern recreations will not. This thread is about the shotgun in the hunting role, however since it does come up periodically I’ll touch on its use in combat. Unlike its versatility for hunting. the shotgun in combat is a niche or specialty weapon. Limited to breaching and CQB in its original sense, such as dense jungle warfare and obsolete trench warfare. Ammunition is heavy and bulky. Truly mastering rapid reloads takes serious practice. Finding yourself in more open terrain against a rifle equipped adversary would put you in a serious disadvantage. Under certain conditions; such as patrolling a dense mangrove swamp/freshwater swamp, a shotgun on point could with an experienced shotgunner added to an otherwise rifle/carbine equipped squad may be of use. Few of us have these conditions. So for most, the effort to master the shotgun in combat just isn’t worth the time that could be better spent on other training IMHO. I have a few Ithaca M-37’s some have right hand and some left hand safeties. You can change the safety from one side to the other. Here is an interesting shotgun accessory that those that read Point Man have at least heard about. Chief “Patches” Watson holding his duckbill shotgun used in Vietnam (left), and the modern GATOR equipped shotgun. This skill requires patience and practice. Besides the lead temperature I’ve found varying the drop height will aid in the consistency of shot. About a week and a half ago Max’s Thread If John Wick didn’t have a Shotgun? pointed out some Rationalist thought on shotguns, 3 Gun competition, and how it relates to real world operations we prepare for. Above should be clear on my thoughts for most users in regards to shotguns in combat. Wildbill brought up an interesting new offering by Mossberg that I felt would be better addressed in this Thread rather than muddying the waters of Max’s excellent Thread. Not that big a fan of shotguns but this one piqued my interest because of the length. So does the 590 Shockwave have a practical application for what we prepare for? First, what is the 590 Shockwave? Now that we know why we can have a 12 gauge “Firearm” with a 14″ barrel without NFA paperwork, though some States it is still illegal. Remington makes a similar “Firearm” in the same price range and there are other manufactures, but their offerings are far too expensive for it’s limited use IMHO. If you have unlimited resources have at it. Does it have an application within our philosophy of use? IMHO it would make an excellent “Breacher” with it’s relatively small size and lightweight it certainly wouldn’t overburden anyone carrying it in that role. 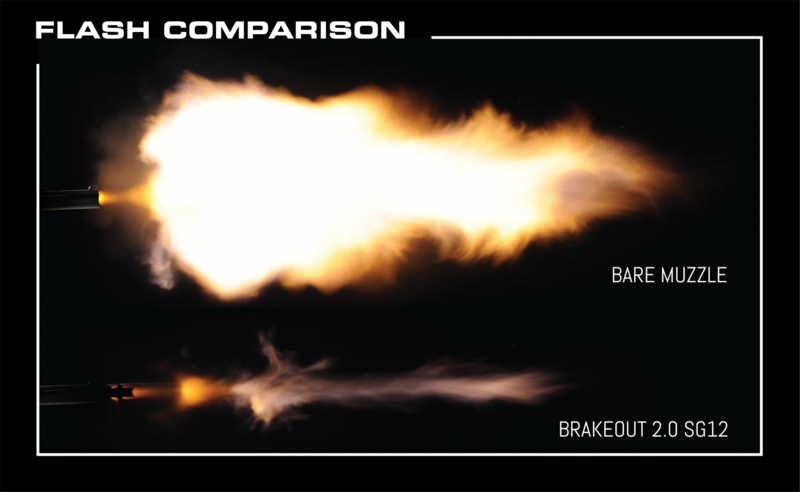 I am unaware of a definitive opinion on the necessity of a “breacher standoff device” (hopefully one of our SME’s will chime in if there is) as shotguns have been breaching doors with and without them for many years. 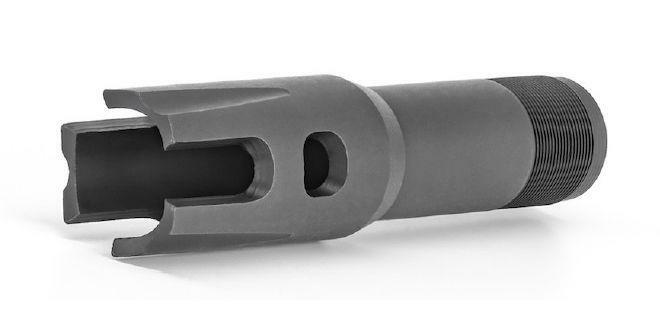 If required or desired there are many options available either as muzzle devices or magazine tube accessories. So if your looking for a compact “12 gauge Breacher” I don’t know of a better non-NFA option in this price range. Could the Shockwave have other uses? Sure, but as already stated a shotgun or in this case a 12 gauge firearm, is a niche tool in combat. Powerful, but limited in application. Check out this Thread Passive Counter CQB: Urban, certainly demonstrates things can be more difficult at times. Some interesting shotguns and accessories. Looks impressive, but without knowing load and barrel length, it’s more hype in my opinion. That said I may still give it a try with a SBS length barrel at some point as anyone who has fired such short barreled knows, any reduction maybe worthwhile. This is the latest in the 12 ga “Firearm vs Shotgun” offerings that doesn’t require NFA paperwork, but are still not legal everywhere due to State/Local laws. There are several “brace” options to give user same advantage that AR pistols, etc…now have. Here is a effort of combining this new breed of firearm with the previously mentioned Gator Spreader (Duckbil). A interesting combination that has merit for certain uses. However I believe Reviewer errored in choosing a buffered load since it is counterproductive for intended purpose of Gator Spreader. At some point I plan on purchasing a Gator Spreader to evaluate and will test my theory. If for no other reason than its reproduction of duckbill history.